This is my version of a delicious little dish I ate at Polpo the other day. 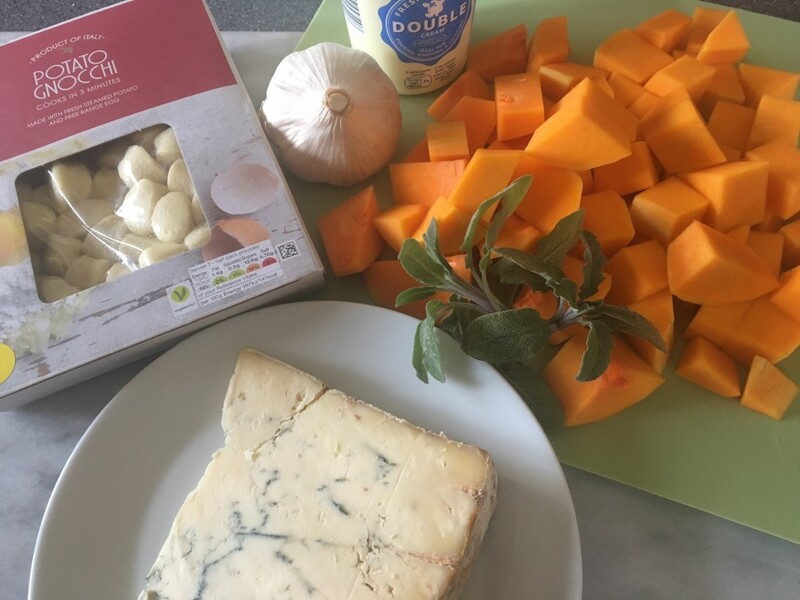 To make this an easy weekday supper I have used ready-made gnocchi but feel free to make your own should you be so inclined. 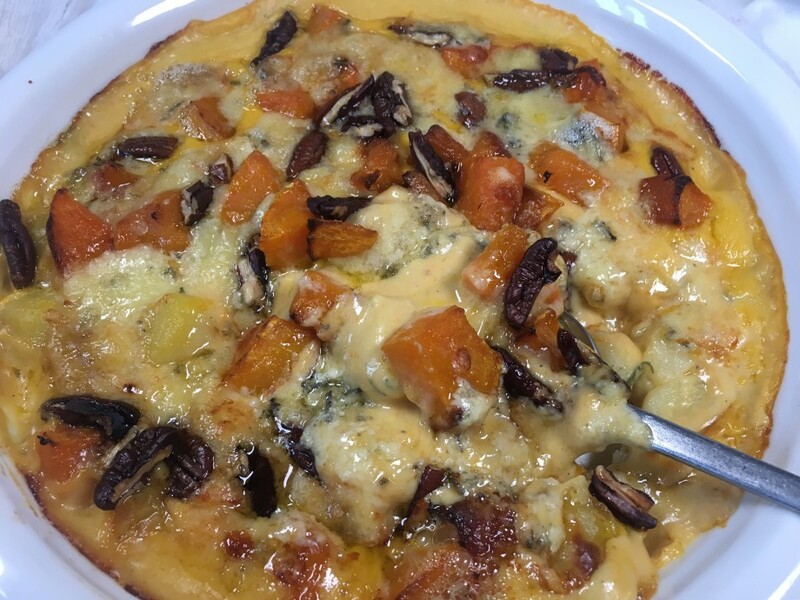 This recipe has a touch of autumn about it but, as I have had to switch the heating back on, I feel justified in posting it now. It may be that the temperatures climb up again next week -in which case file this under things to cook later on in the year. Heat the oven to 200˚c, fan oven 180˚c mark 6. Put the butternut squash in a roasting tin and toss with the olive oil. Season with a little salt and ground black pepper and roast in the oven for 35 minutes. 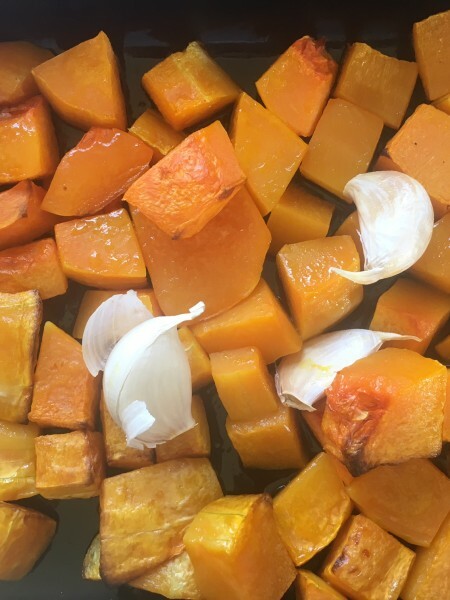 Stir the squash then add the unpeeled garlic cloves and continue to roast for a further 10 minutes. 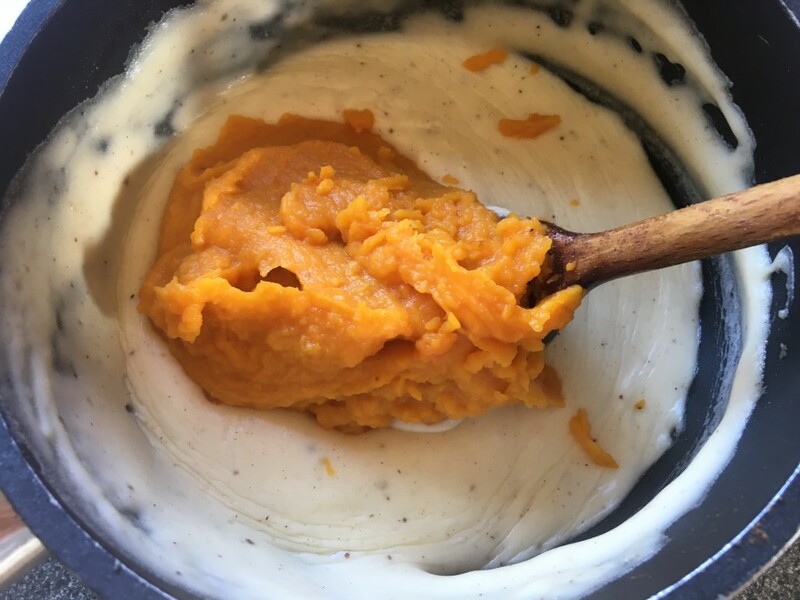 Leave the squash and garlic to cool for a few minutes then place half the squash in a food processor (or bowl if you are using a stick blender). Peel the garlic skin away from the soft centre and add to food processor. Blend to a smooth purée and set aside. Melt the butter in a saucepan and stir in the flour. Cook for 1 minute then slowly beat in the milk and cream and cook, stirring over a low heat, for 2-3 minutes. Stir in the sage and nutmeg followed by the squash and garlic purée. Taste and season with salt and pepper. Bring a pan of salted water to the boil and cook the gnocchi according to the packet instructions. Drain and put in an ovenproof dish. Pour over the squash sauce. 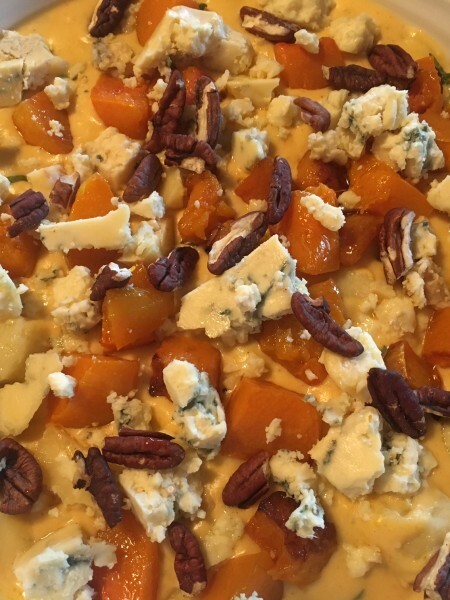 Scatter over the remaining roasted squash followed by the Stilton and pecans. Cook in the oven for about 20-25 minutes until bubbling and golden.